. :: 86 SHOW JUMPING HORSES THROUGH THE OLYMPIC VET CHECK ::. It was an easy going vet check for the show jumpers, where all the horses - except for two - passed the control on their first try. Chile had a nervous moment though with two horses in the holding box - Tomas Couve Correa's Underwraps and Carlos Alberto Morstadt's Talento. Underwraps passed the second time around though, however Talento will be re-checked tomorrow. Some surprises occured; Luiz Francisco de Azevedo's Special wasn´t present during the vet check, so Alvaro de Miranda showed his Drossel Dan as a reserve horse. That means that Doda has two horses through the vet check as he also passed with his decleared ride Rahmannshof's Bogeno. 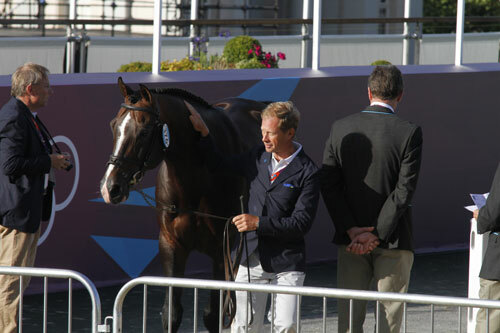 The German and the Swedish team only showed four horses and didn't have a reserve horse present. 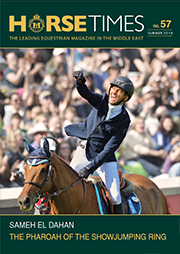 The two teams have already used their reserve horses with Philipp Weishaupt's Monte Bellini and Malin Baryard-Johnsson's Tornesch falling out of the teams due to injuries right ahead of the games.